Ground Floor Theatre is holding auditions for the World Premiere of Dex & Abby written by Austin playwright, Allan Baker and directed by Robert Tolaro. Sean and Corey are at the beginning of a relationship, but each brings baggage to it: their dogs. The guys are in love. The dogs hate each other…and have all the best lines. A sweet, funny and moving tribute to the animal companions with whom we share our lives. Auditions will be held on Sunday, February 3, 2019 from 10am – 1 pm by appointment (contact info below). Please prepare a monologue and be prepared to read from the script. 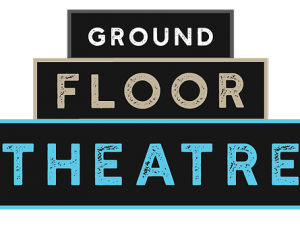 Ground Floor Theatre is committed to inclusivity and as such unless specifically called for in the script, we cast without consideration to ability, race, ethnicity, gender identity, sexual orientation, size, or shape. Auditioners should bring a resume and headshot with them. DEX- Male. Dog. 13. Played by a male human, 40’s-50’s. Dex is a big, strong dog beginning to age. He wants to be seen as powerful and possibly ferocious, but he is actually very sweet. He is very protective of Corey and is proud of doing that duty and being a calm, steady force in Corey’s life. He was not the smartest pup in the litter, though. ABBY- Female. Dog. 5. Played by a female human, mid 20s. COREY- Male. Human. Late 20s. he gives it completely and assumes those he loves do the same. He is a bit of a cowboy. SEAN- Male. Human. Late 20s. Sean is much like Abby…impulsive and energetic and insecure. He is frightened by love, since he last lost it before and deep down, doesn’t feel he is worthy of love. KATY- Female. Human. Late 20s. critical…the sort of person who “does not suffer fools gladly” and does not hesitate to ask questions and probe answers. Performances May 12 – June 1, 2019, with rehearsals beginning in early April. Email Patti@GroundFloorTheatre.org to schedule an audition slot.